The year is coming to a rapid close, which means it’s time to start thinking about planning the perfect holiday getaway. Last year, Leonardo Dicaprio made sure to put his picture perfect stamp on luxury locations with the opening of Blackadore Caye in Belize. This year, fellow Academy Award winner Robert DeNiro is on the job as he and chef Nobu Matsuhisa ready properties in Mexico and Saudi Arabia. Croatia is still at the top of the must-see list and the Maldives prove to be more beautiful than ever with serene surroundings and private getaways. Top tier designers are involved in projects in London, Norway, Chicago and Africa, making it hard to choose a favorite on the list of anticipated 2019 hotel openings. We can’t dive into those without first acknowledging the style and sophistication of some of our favorite 2018 openings, though. White sand beaches, lush coconut palms and pristine blue waters surround the Joali Maldives resort situated on the oasis of Muravandhoo Island. Both the land and over-the-water villas are designed to tell individual stories through hand-picked artisanal elements, curated in-room libraries and unique objet d’art – a focal point of the resort as many pieces are a collaboration with local artists and artisans, in order to support their community. With one to four bedroom options, the villas and residences are perfect for a romantic getaway or fun for the whole family. The property also houses its own interactive art studio that offers guests a chance to meet artists and attend workshops. 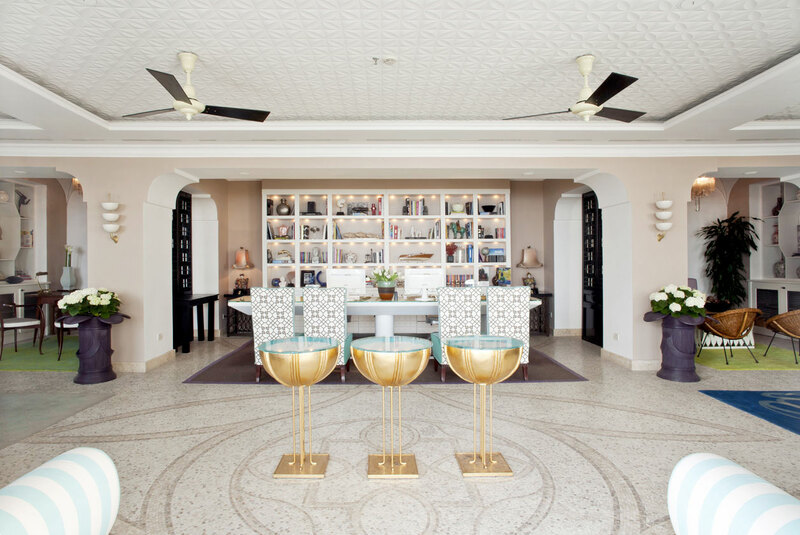 Each villa is adorned with its own infinity pool and private butler who can assist in dining options at any of the four restaurants on property. 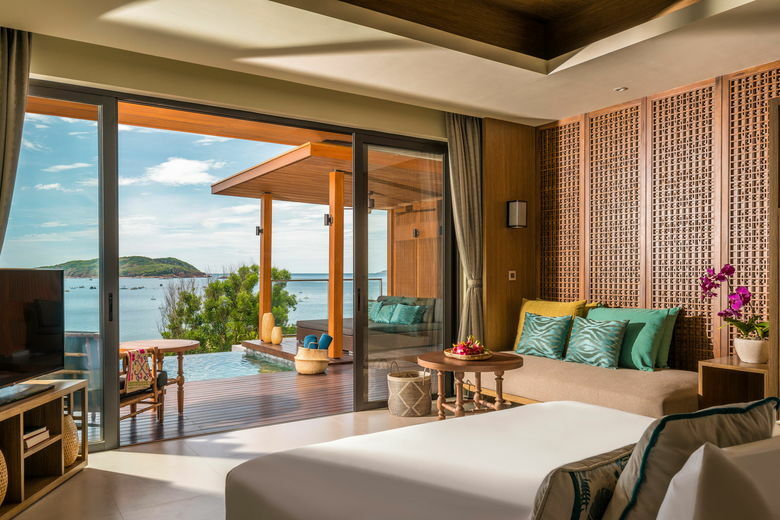 Unparalleled views of the Bay of Quy Nhon make the Anantara Quy Nhon Villas one of the most beautiful property openings of 2018. 26 villas are tucked away along the water’s edge and lush landscape of the surrounding area. Glass doors slide open to reveal your own private infinity pool and sun deck. 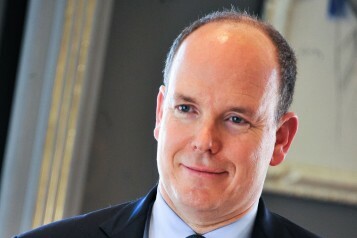 Butler-served meals and double-masseuse massages ensure guests are pampered properly. New Orleans continues to come alive as time goes on. 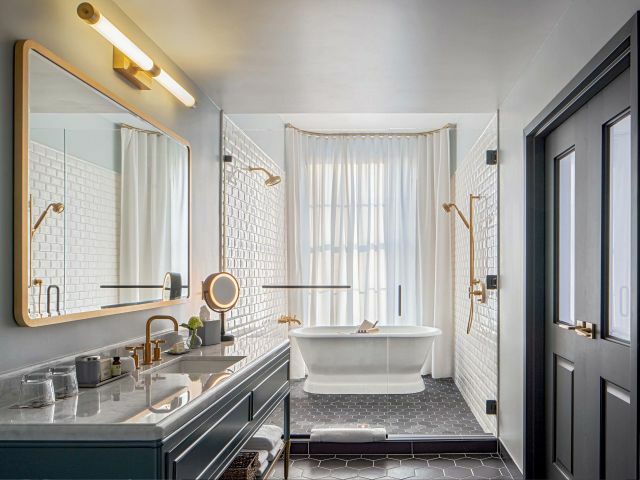 Located in the mid-19th-century Central Business District of the city, The Eliza Jane is the perfect combination of rich history and gorgeous design. Drawing inspiration from many of the building’s original occupants including Peychaud Bitters and The Daily Picayune, run by the country’s first female publisher, Eliza Jane Nicholson, the boutique hotel features Magazine Street view, Publisher and Editor suites, a garden courtyard, Press Room lounge outfitted with vintage printing press memorabilia, and an award-winning dining experience at Couvant. 95 private villas and suites sit along the water’s edge on the island of Kalhudiyafushi in the Maldives. The Grand Meliá’s design is both minimal and luxe, featuring sleek lines and natural elements.The hotel also makes use of a smaller island nearby for so guests can experience exclusive private events and romantic dinners. Spread over 108,000 square feet, Al Bait Sharjah resort is part of an Emirati conservation project, where the rooms, restaurants and spa are seamlessly incorporated into the property’s heritage buildings that are more than a century old. 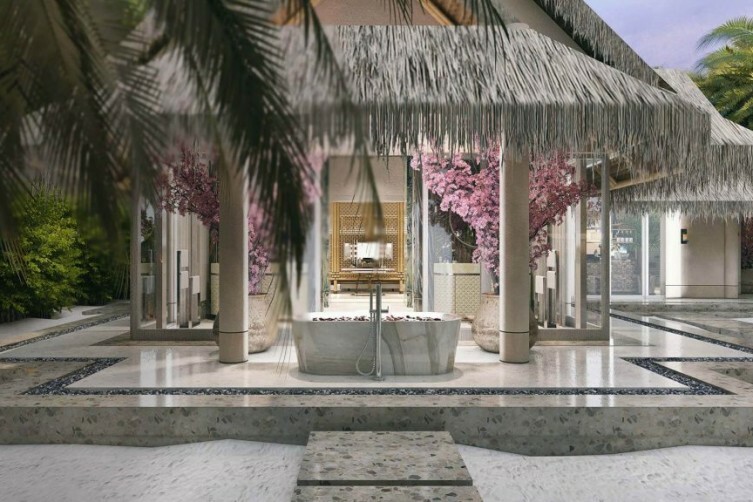 Just ten miles from Dubai, guests can venture out or stay immersed in culture at the spa, which features traditional Middle Eastern beauty and wellness secrets as well as healing techniques from the far East in each service. The first property in Mexico from Robert DeNiro and chef Nobu Matsuhisa’s Nobu Hospitality group is ready to open its beachfront doors in Cabo San Lucas in February of 2019. The property features 200 guest rooms that combine the local culture of Cabo’s oceanfront style with minimalist Japanese design. The hotel’s aesthetic is inspired by clean lines that play between light and shadows, all culminating with incredible views of a magnificent beachfront on the shores of the Pacific Ocean. A rooftop pool and restaurant powered by the Boka Restaurant Group are two of the attractions that will draw crowds to the Hoxton Chicago when it opens in spring 2019. 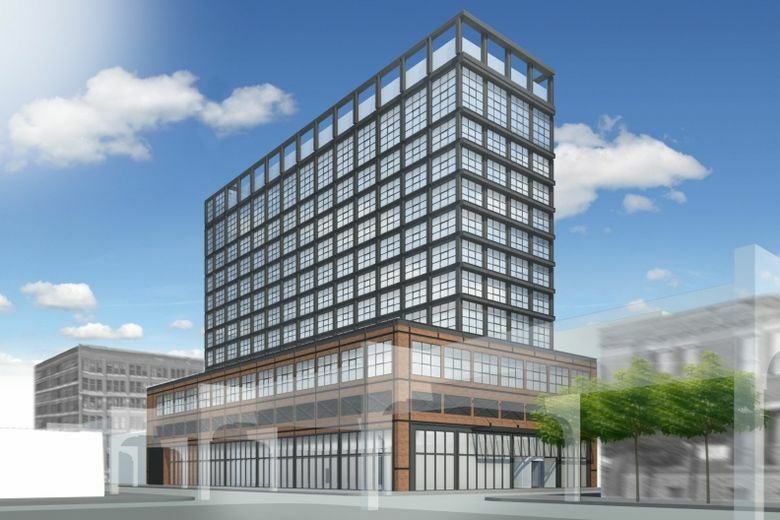 175 bedrooms and a large lobby area, designed in keeping with the group’s open-house hotel style, will embrace nearby Fulton Market District with design elements nodding to the neighborhood’s history. 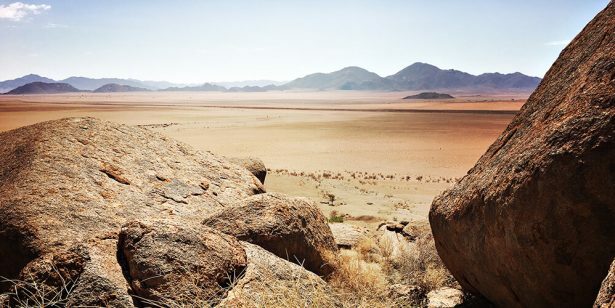 The Zannier Group recently revealed plans for the spring opening of Sonop, the ten-tent luxury getaway in Namibia. The colonial-style design is both stylish and chic, providing all the amenities you could ever need. Step outside for time in the resorts infinity pool with perfect desert views, or set out on a wildlife encounter. Tackle them on foot with a private guide, or choose to see the land by horseback. Still want more? Head into the skies above with Sonop’s hot air balloon rides. Where the Savoy Hotel once sat will emerge the Savoy Palace. Designed by designer Nini Andrade Silva with the award winning design team RH+, the Palace offers incredible views from each of the pools, suite balconies, rooftop lounges and terraced gardens. Contemporary decor with custom-created fabrics embellish the rooms as does bespoke furniture by local artisans. 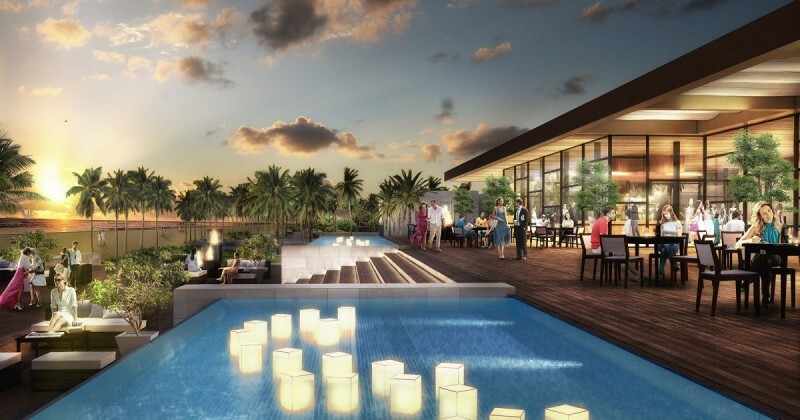 Stylish restaurants and bars, a world-class spa with hydrotherapy facilities, multiple game rooms and a traditional tea house complete the offerings. The highly anticipated $150 million redesign of the Britannia Hotel is nearing completion. 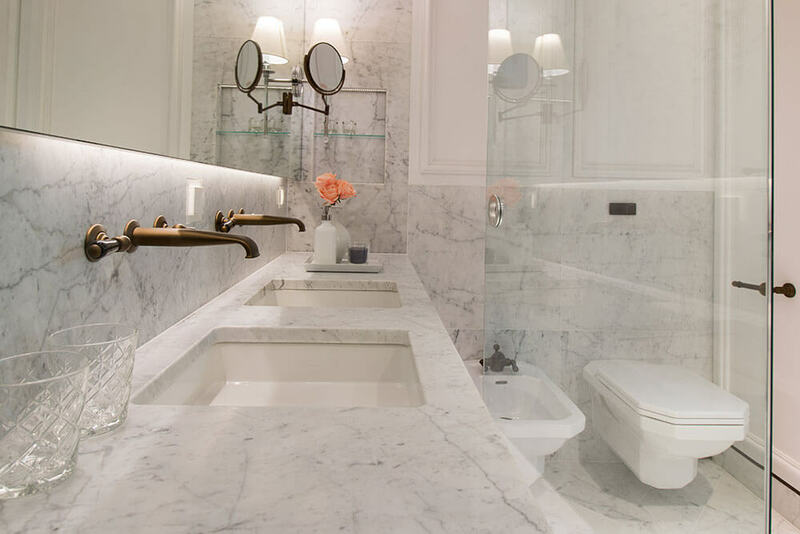 Doors will soon open to reveal exquisite elevated suites embellished with complete marble bathrooms, carefully curated furnishings and beds covered in exquisitely designed linen. Six restaurants and bars provide endless dining options, but the star of the culinary show here is Palm Court helmed by Bocuse d’Or-awarded chef, Christopher Davidsen. 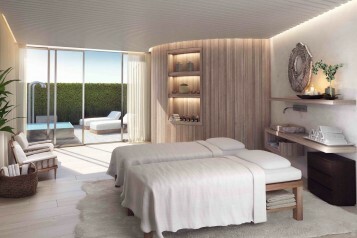 The Capri Tiberio will be Capri’s newest boutique hotel, set just steps from the Piazetta. Designed to embrace the color and style of the Italy in the 1950s, hand-painted Italian tiles serve as the backdrop for mod furnishings accented with local textiles and art. Suite terraces overlook the Amalfi Coast as does the resort’s outdoor pool. Set on 1,000 acres of remote land in Ios, all of the 30 suites at Calilo offer private pools and jacuzzis, just in case the resort’s exclusive guest-only beach isn’t perfect enough. Numerous seaside and island trails are scattered throughout the property, as are cabanas and natural baths overlooking one of the best beaches in the Mediterranean. 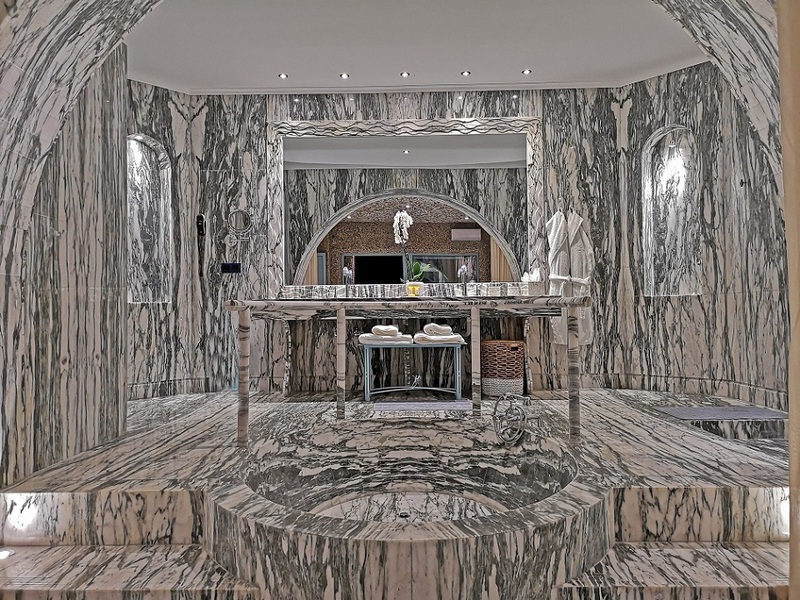 Handcrafted marble interiors create a palatial suite setting. The Maldives is still the destination of choice a luxury getaway and resorts like the Emerald Maldives show us why. 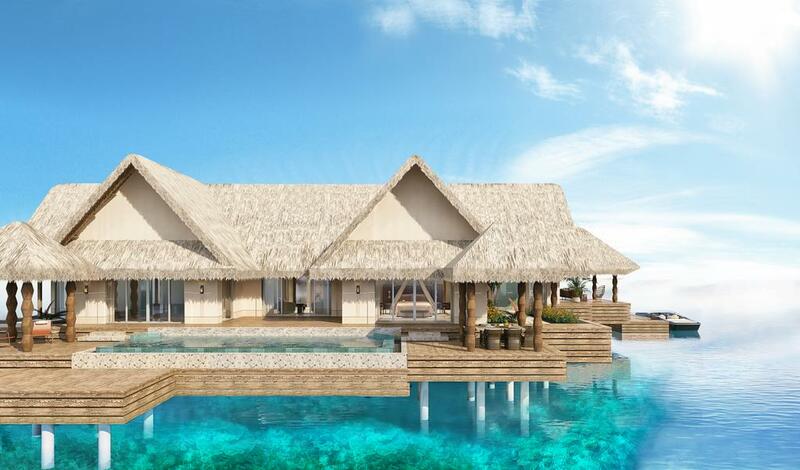 The property features 120 private beach villas and over water bungalows, most outfitted with a plunge pool and jacuzzi surrounded with lush, tropical greenery. Head to one of the resort’s four restaurants or opt for service in your villa and the same goes for spa treatments. Outside the room, venture out to partake in Indian Ocean dives and water sports, all set up by the Emerald Maldives’ concierge. The perfect location of the Hotel Bellevue – ideal exploring the UNESCO protected city of Dubrovnik and still far away enough from the city to feel exclusive – is just one of the property’s many appeals. 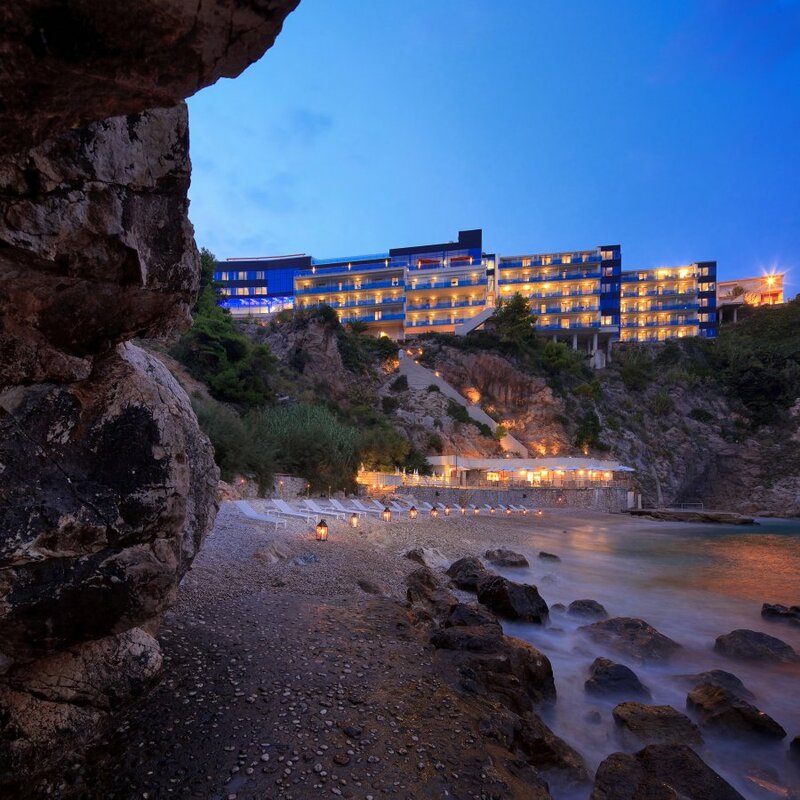 Tucked into a clifftop cove 30m-high on Miramare Bay, the hotel Bellevue overlooks the serene waters of the Adriatic Sea from each of it’s 91 rooms, suites and Spice Lounge Terrace. Lisbon-based Tereza Prego Design Studio designed the hotel so that the sophisticated design embraced the surrounding elements of nature – each area merges to form an amazing ship platform floating on a sea. The effect sets a dramatic stage above the Croatian island. Another first for the Nobu Hotel group is Saudi Arabia, home to the Nobu Hotel Riyadh, Japanese design elements are a signature of the group, so expect them intertwined with the modern 24-story high skyscraper building. 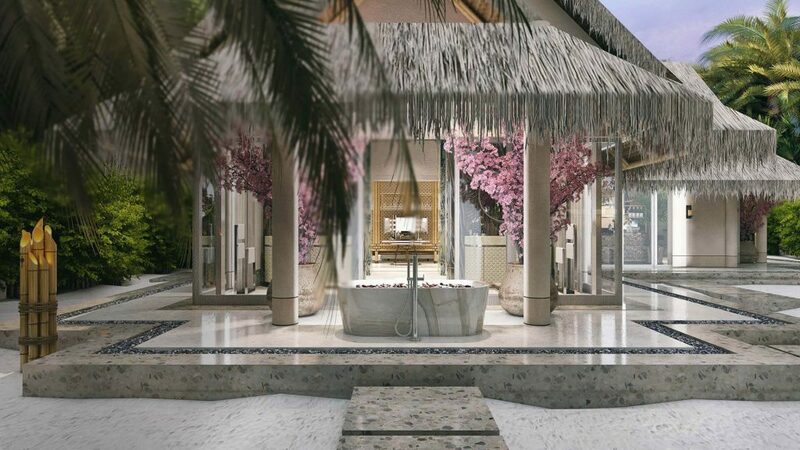 Enclosed in glass panels created by the Rockwell Group, Saudi influences integrate seamlessly into the 134 guestrooms and suites, full-service fitness facility, exclusive executive club lounge, and the Kingdom’s very first Nobu Restaurant. There are just six-suites in the Harding Boutique Hotel, a luxury property designed by British architect Jonathan Ashmore. Set along a strip of pristine beaches and a world-famous surf break, the hotel design features balconies on each suite with views of the Indian Ocean. 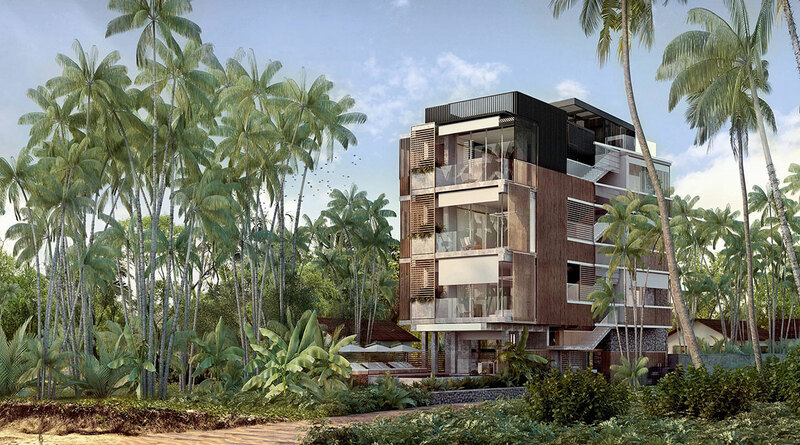 They are elevated among natural palm groves so the sea-facing baths and rain showers are both open and private. A sister property to Nayara Resort, Spa & Gardens and Nayara Springs, phase one of Nayara Tented Camp, opening in fall of 2019, will consist of 18 luxury tents, each made up of a master suite and en-suite bathroom (as well as an outdoor shower). Each tent will sit on its own platform furnished with an outdoor living area and a plunge pool filled from nearby hot springs. Twelve of the tents will mirror each other with the option to connect two tents via a passageway while the remaining six tents will be standalone units. The resort will boast a new swim-up bar and family-friendly pool to enjoy in between the day’s activities of zip lining, whitewater rafting, and visiting the on-property sloth sanctuary. An open air yoga pavilion will offer sunset, candle lit practice.